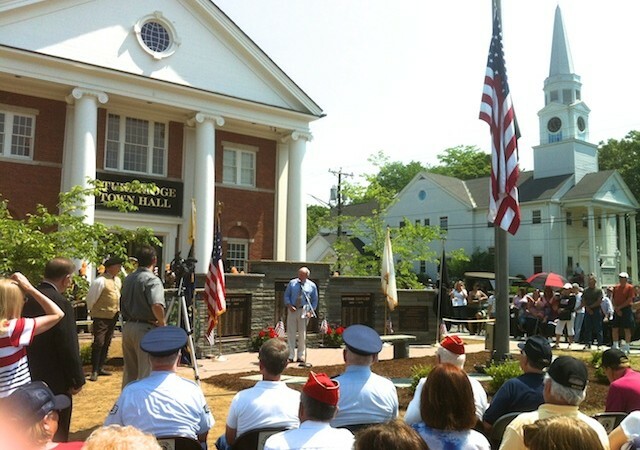 War Memorial Dedication - May 28, 2012. 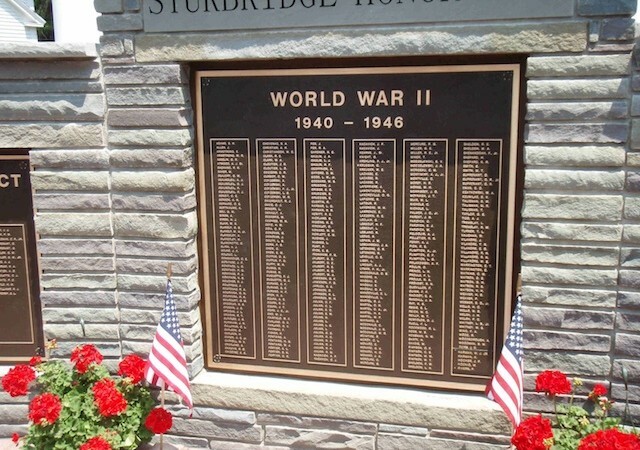 World War II Sturbridge Honor Roll. 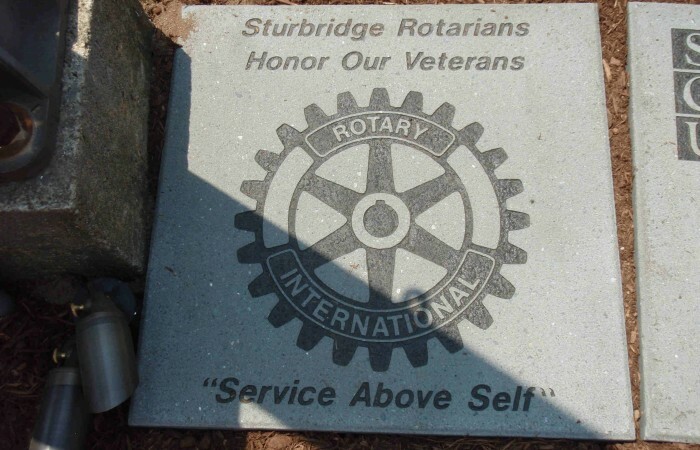 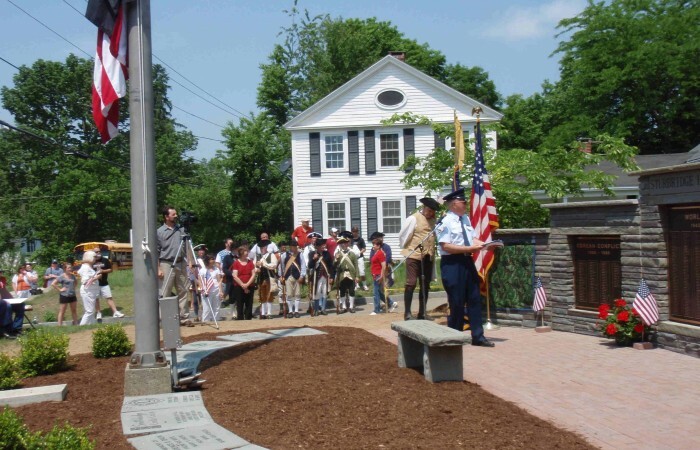 Sturbridge Rotary plaque honoring veterans. 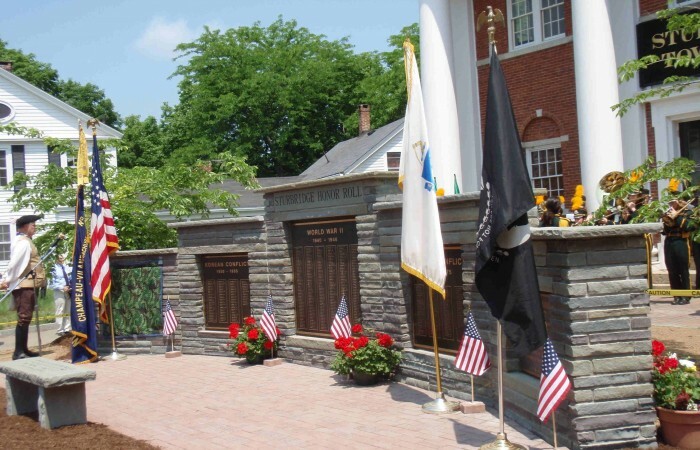 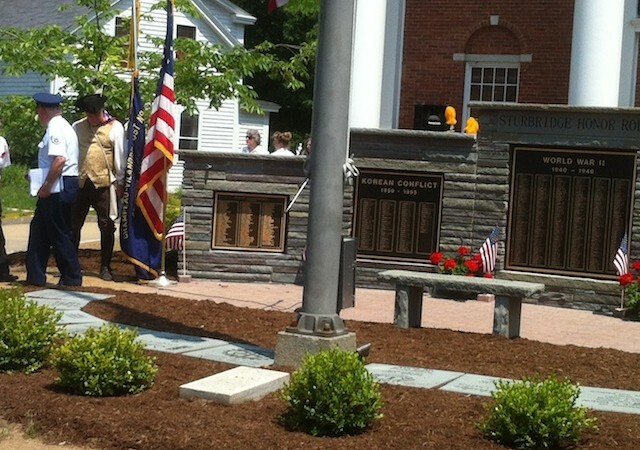 War Memorial showing plaques in front honoring veterans. 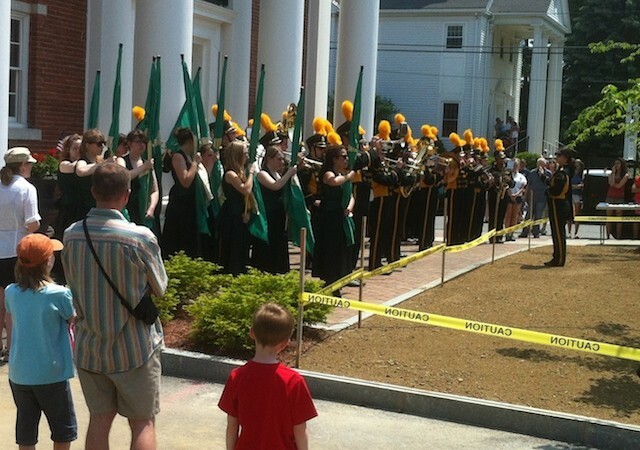 Patriotic music provided at War Memorial Dedication by local Tantasqua Regional High School band. 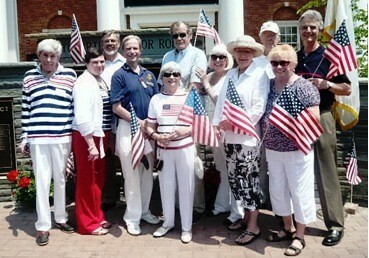 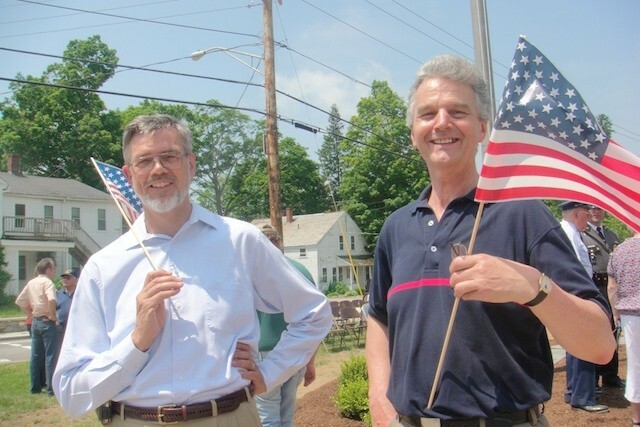 Rotarians attending the War Memorial Dedication - May 28, 2012.